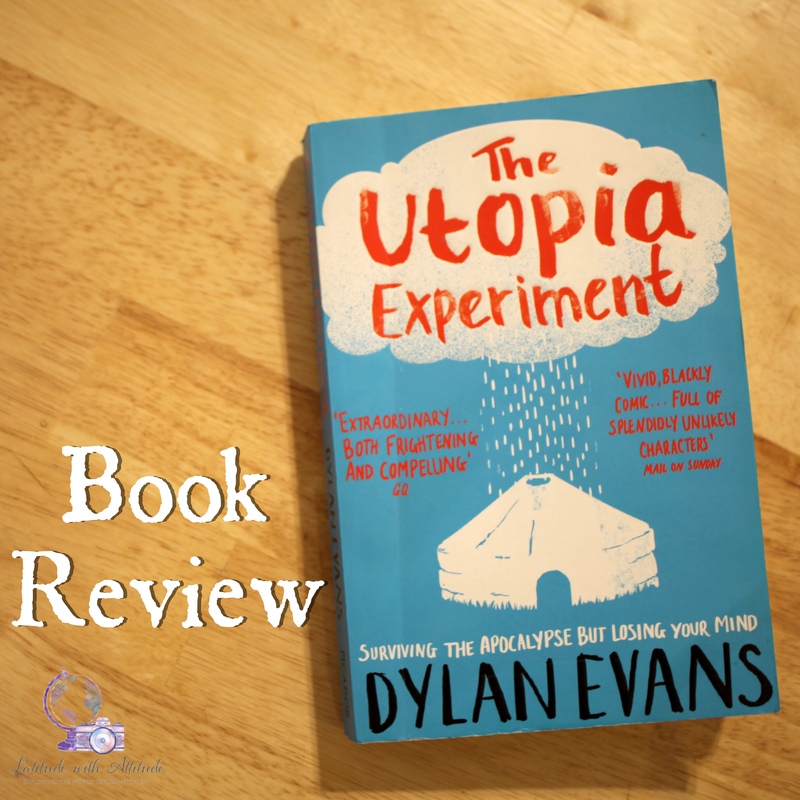 The Utopia Experiment came into my life in a rather odd way. I hardly ever purchase books in airports (they are expensive and usually not my cup of tea), but when traveling at some point in 2015 or 2016 I had a moment of weakness. I don’t know if it was the title that caught my attention, the bright blue cover, the yurt art, or the reviews which had words like “blackly comedic,” “frightening and compelling,” and “gripping, slow-motion car crash” plastered all over the outside. It drew me in. Dylan Evans was obsessed with imagining the apocalypse and what life would be like after civilization collapsed. 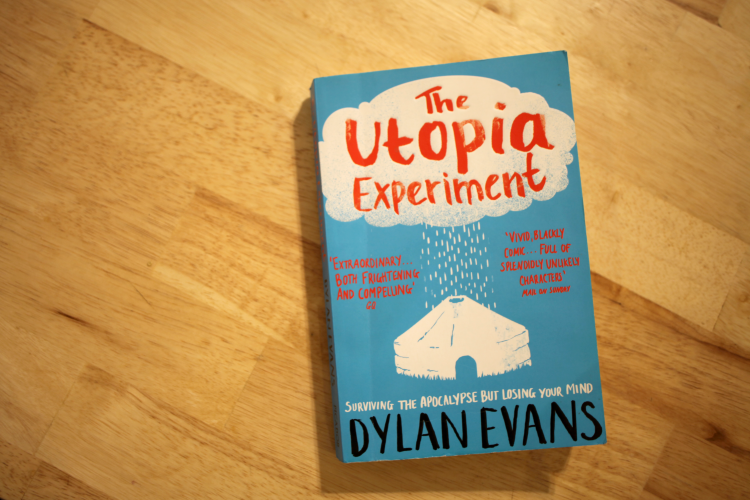 In 2006, he quit his job, sold his house and most of his belongings, packed up his car, cat and all, and moved to the Scottish Highlands where he founded the Utopia Experiment. The design was simple: Evans, along with a rotating cast of volunteers, would simulate a post-apocalyptic scenario where all technology as we knew it was gone or useless, and humanity needed to return to a much more primitive way of life. The experiment had a strict 18-month timeline. However, in less than a year, Evans ended up detained in a psychiatric hospital. The book opens during his first week after checking in, trying to come to terms with what had gone wrong. He was horribly depressed and was left trying to put together the pieces of what exactly happened. From here, the book jumps around a bit in time. We go back to 2005 and accompany Evans on a trip to Mexico where the first inklings of the Utopia Experiment entered his brain, and the timeline remains linear until the experiment begins in 2006. Then we jump between his time in the experiment and in the hospital, putting together all the pieces of the experiment’s failure. The book is compelling enough on the surface level. I tend to like dark humor and dystopian stories and this was a blend of both. It was also interesting to imagine along with Evans how society would collapse, when it would collapse, and what would happen afterward. What makes this book even more fascinating is not only does it discuss society’s dependence on technology, it also takes a hard look at depression and mental illness, the history behind civilization and collapse, and human behavior and our need to belong. I have tried to keep my book reviews on this blog travel or expat life related, and I do realize this one doesn’t really fit into that box. I wasn’t going to write about it at all until I came to a part about halfway through when Evans discusses the process of creating a new self and how powerful a sense of community is for humans. In the Foreign Service, I feel like we have the opportunity to create a new self with every move. The self I created in Dushanbe was one where I was completely immersed in Embassy life. It was part of my job and became a huge part of my identity. The self I’ve created here in Tbilisi is a much more independent one. I like being a part of groups, but I’m also perfectly content to spend time at home with my dogs and cats. I’ve always been me, but the level of belonging to the community has been drastically different. For a while, I was struggling with feeling disconnected from the Embassy since the only other time I was in this environment I had placed myself in the center of it. I was missing my sense of community and belonging which, of course, made me sad. Fast forward to now: time has passed and I’ve met more people, so my personal sense of community is back and I feel less alone, but I’ve also taken a step back to realize I also needed to make an effort myself to inflict positive change. In the book, Evans also comes to this realization as he’s evaluating why he ended up so incredibly unhappy. We all must find our way out of the storm on our own. Overall, I really enjoyed this book. It’s a very quick read – I think it took about two days cover to cover – and darkly hilarious. The rotating cast of characters is incredible, the hardships they face are ridiculous, and the word “yurt” appears so many times I was practically crying laughing the entire time I was reading.